Today we had some south easterly wind blowing into the bay and a lot of sunshine. We arrived in the Uilenkraalsmond area we measured the water temperature but continued our journey shortly. 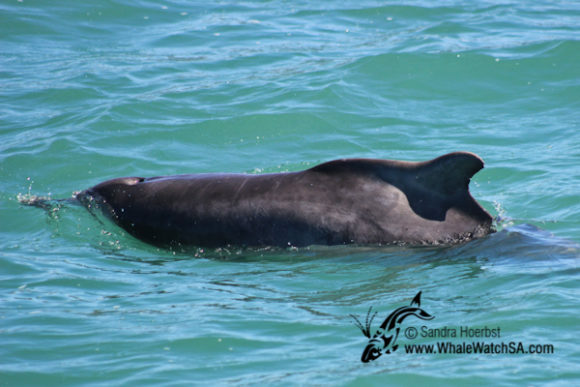 Further along our route we have been very fortunate to see the Indian Ocean Humpback dolphins again. W haven’t spotted them in a while, so everyone was grateful to have some dolphins back in the bay. 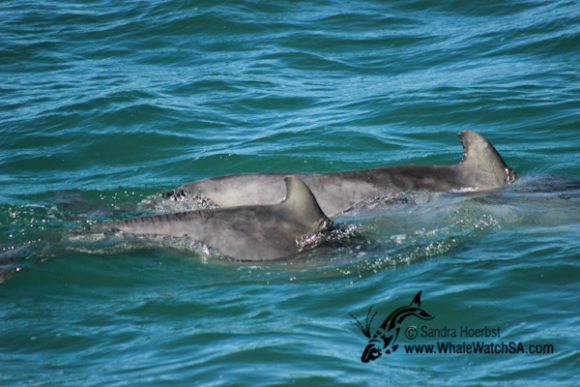 The dolphins were approaching our vessel very relaxed and the they were off again to hunt some mullets. 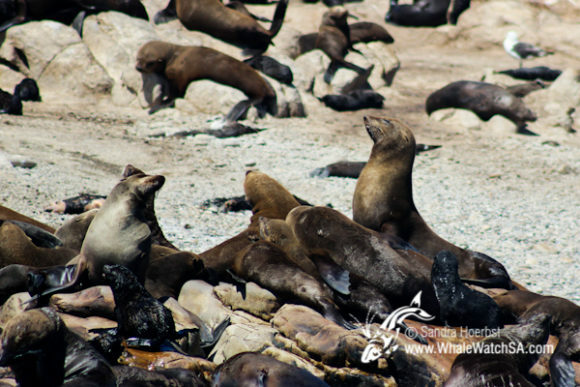 While hunting they were jumping out of the water and gave us a great show. 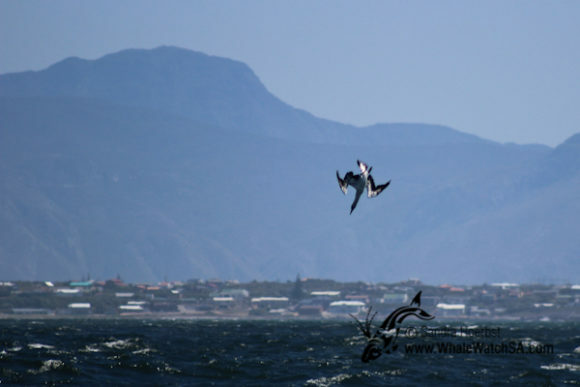 After leaving the dolphins behind we spotted a 3,5 meter Great White shark cruising along the beautiful coastline. 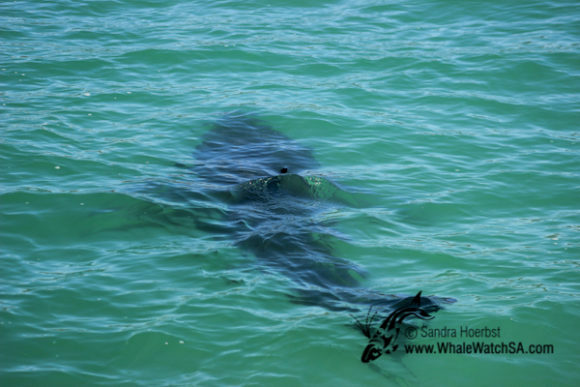 The shark was traveling peacefully alongside our vessel ‘Dream Catcher’. 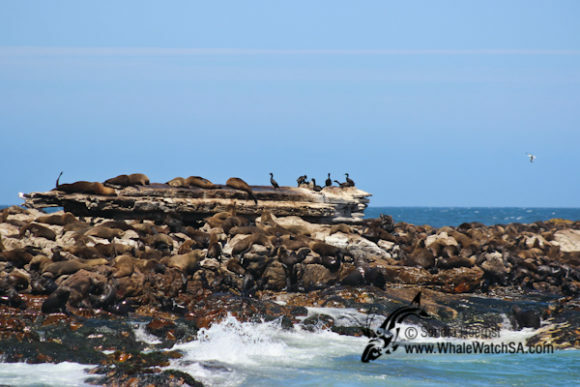 As we arrived in the world famous Shark Alley we were had a closer look at all the Cape Fur seals laying on Geyser Rock. 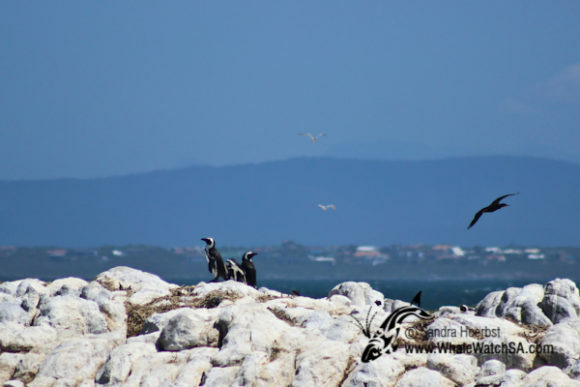 On Dyer Island we spotted three African penguins waddling over the rocks to their nests. 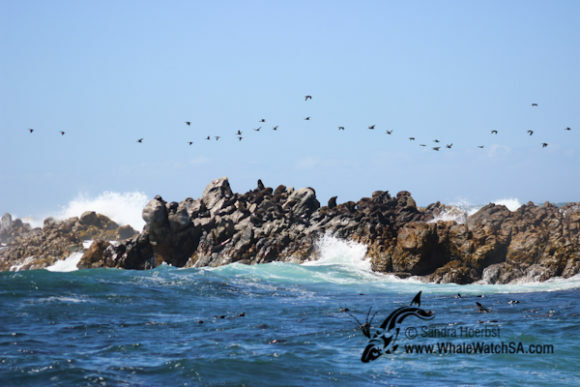 On the way back towards Kleinbaai we spotted some diving Cape gannets, these are our largest resident seabirds.